With a new job comes the need for a brand new note pad. Oh the joys! 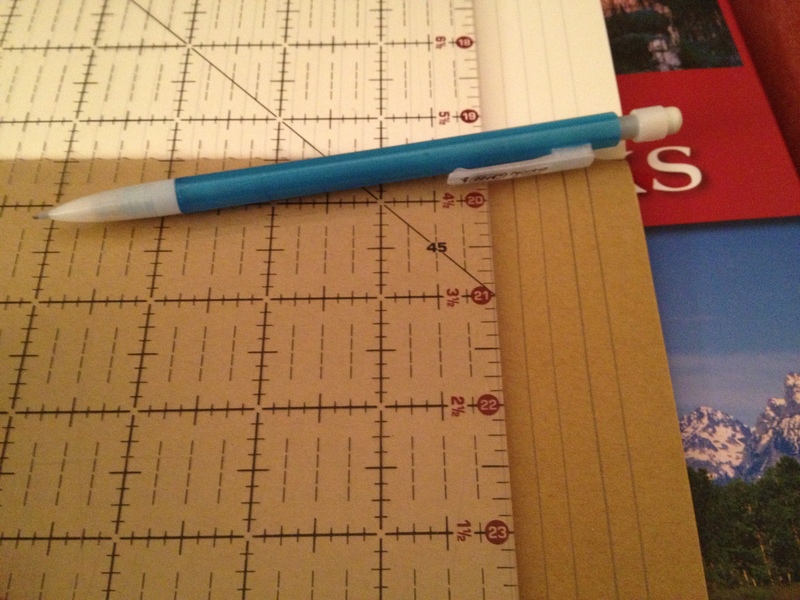 After receiving a Barnes & Noble gift card for graduation, I invested in a few Moleskins. 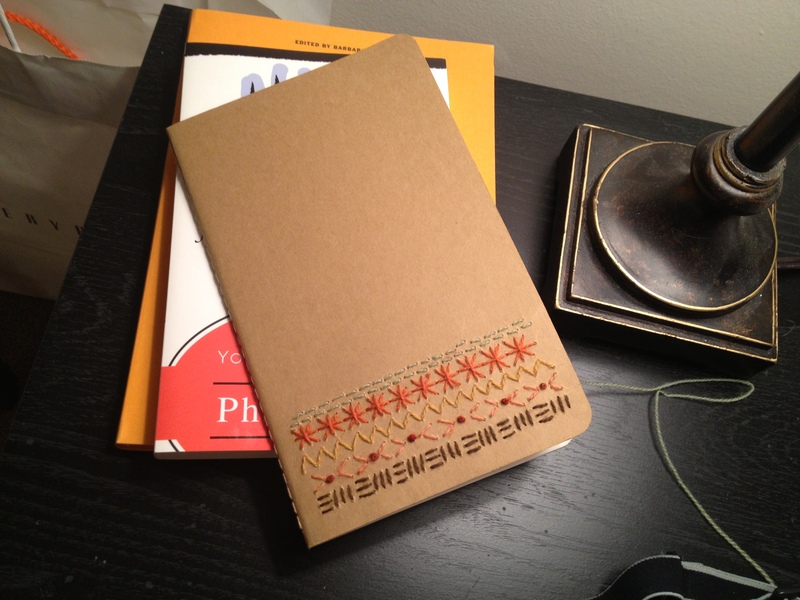 And though I do love a good Moleskin journal, they truly are very plain. So I decided to liven them up a bit with some simple embroidery. My grandmother gave me some wool embroidery floss a few years ago. Since I do not have enough to use on a major project, I like it pull it out for smaller projects like this. 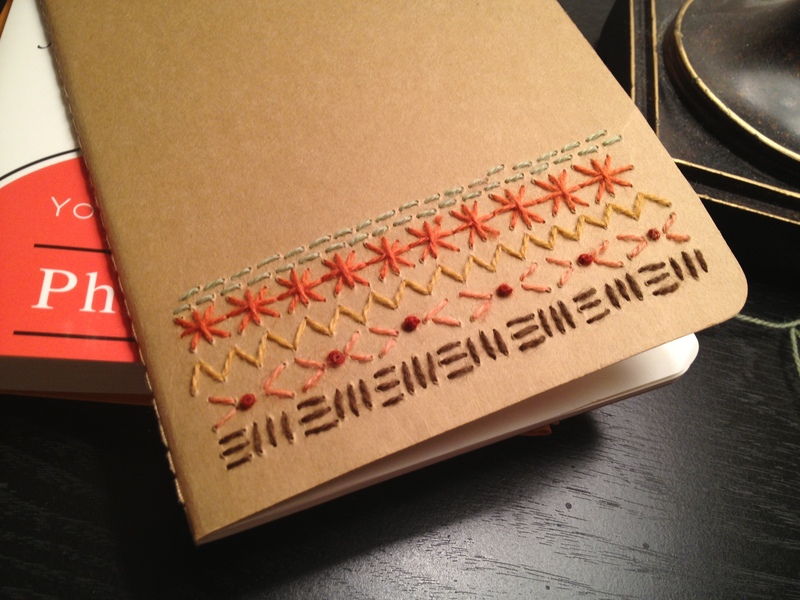 But the basic cotton embroidery floss works great too. 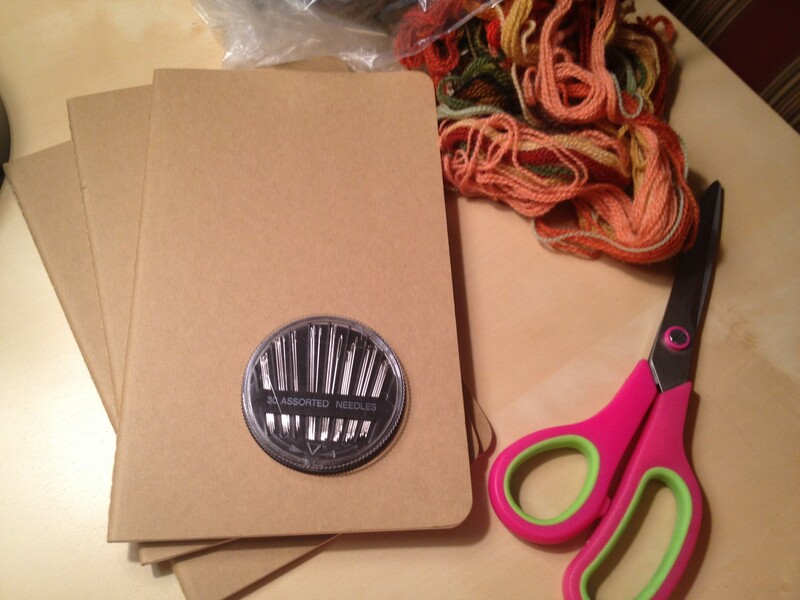 Along with the thread, you’ll need the journals, embroidery needles, scissors, a ruler and a pencil. Sewing through the cover is really easy. As you can see from the picture, the stitches do reveal some strain in the cardboard, but it is only noticeable close up. 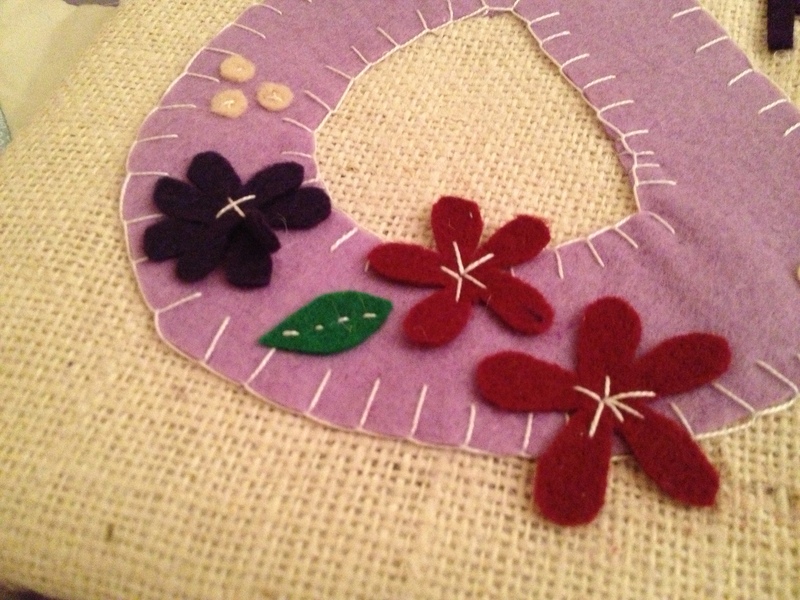 Most of the stitches I used were very simple, but for one row, I used a French knot. 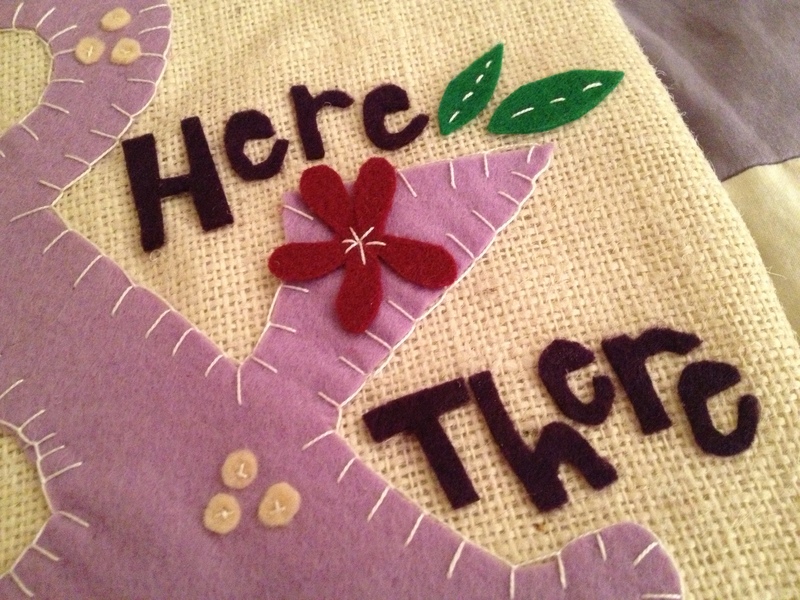 Creating a perfect French knot might take some practice, but it is simple to remember once you get the hang of it. 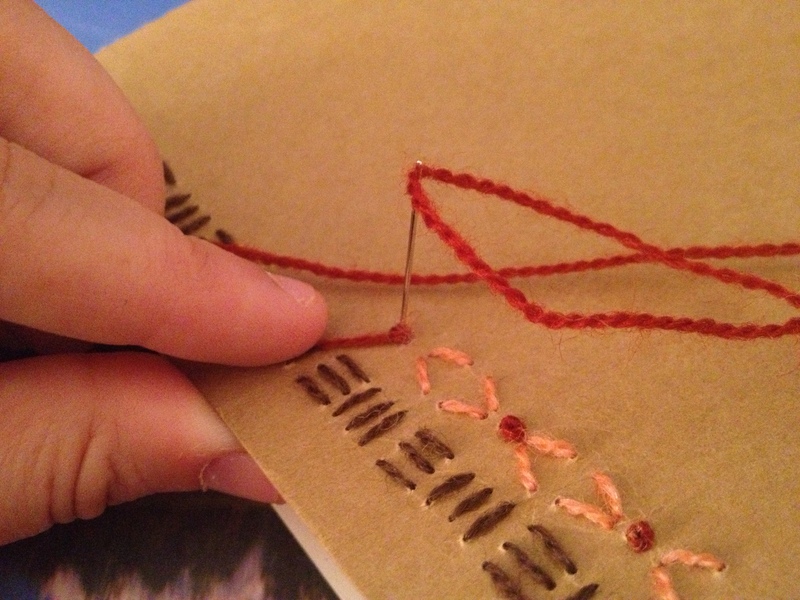 Start by bringing the thread up into the space where the knot will be displayed. 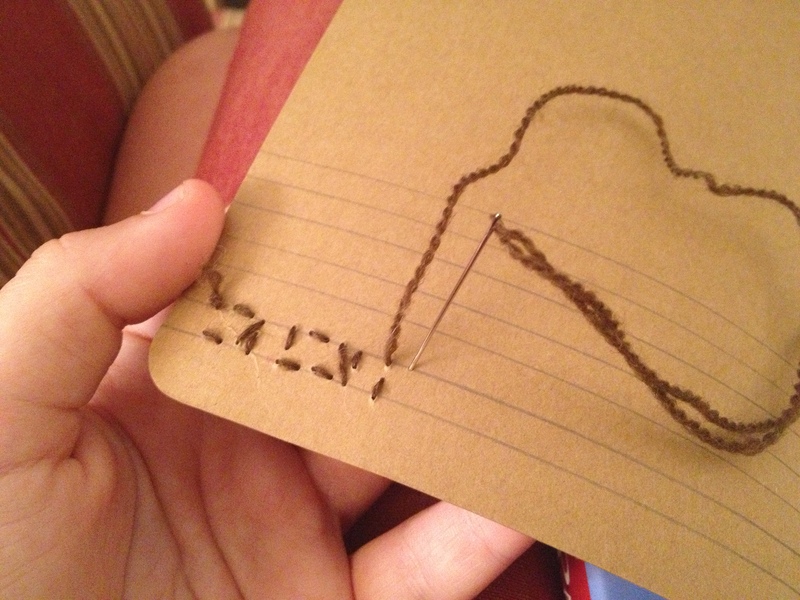 Next, you take the thread and wrap it around the needle. I always wrap it three times. Then, insert the needle back through the cover. Do not put it back through the original hole. But you want the second hole to be near the first. 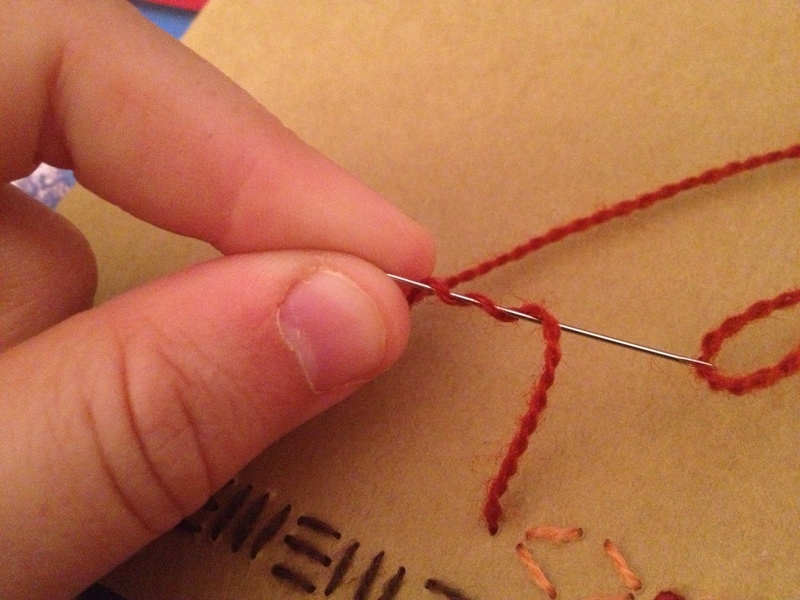 Before you pull the needle through, tighten the thread to make a knot. 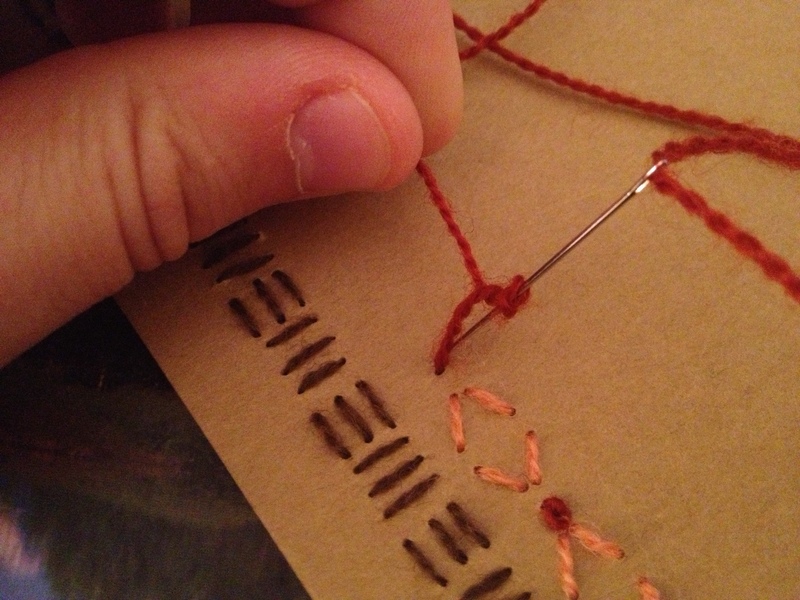 Then keeping the thread taunt, pull the needle through to the other side. 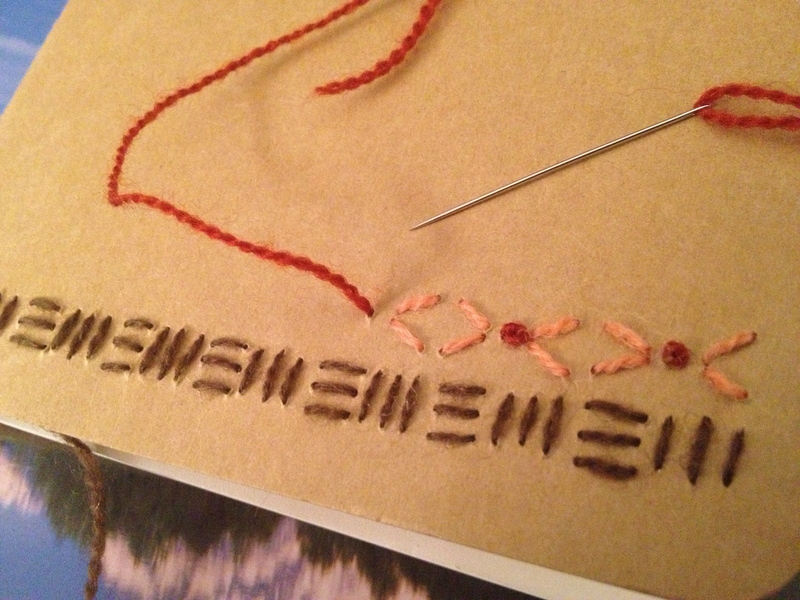 In completely these steps, you have created a French knot. 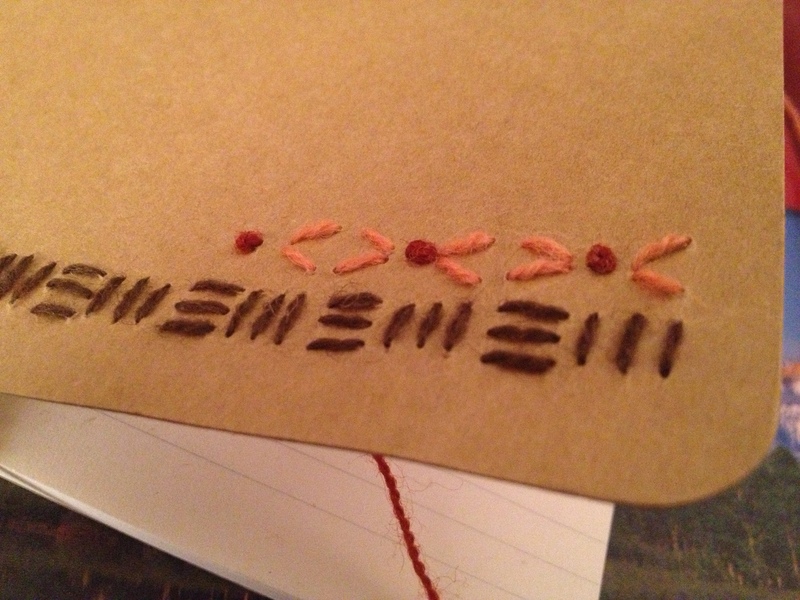 Again, the other stitches are super easy because they are all straight lines. I was able to complete the project in the time it took to watch a movie. Though I took this one to work, I have a feeling I will pull this idea out again when I am in need of a good gift. Some days, you just need time to think and sew. 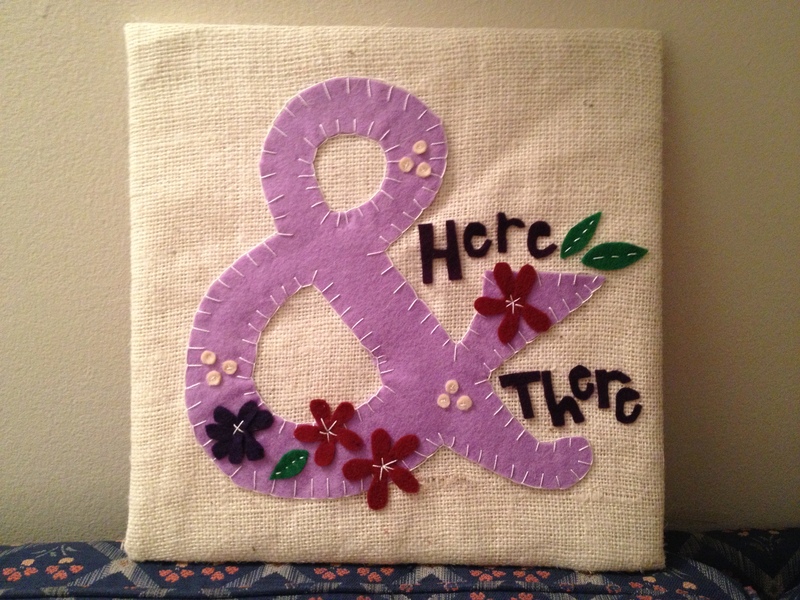 This idea was inspired by a print by one of my favorite letter press company’s, Old Try. They have a series that uses the ampersand. I only have one for now, but who knows, maybe I’ll make a series out of felt. 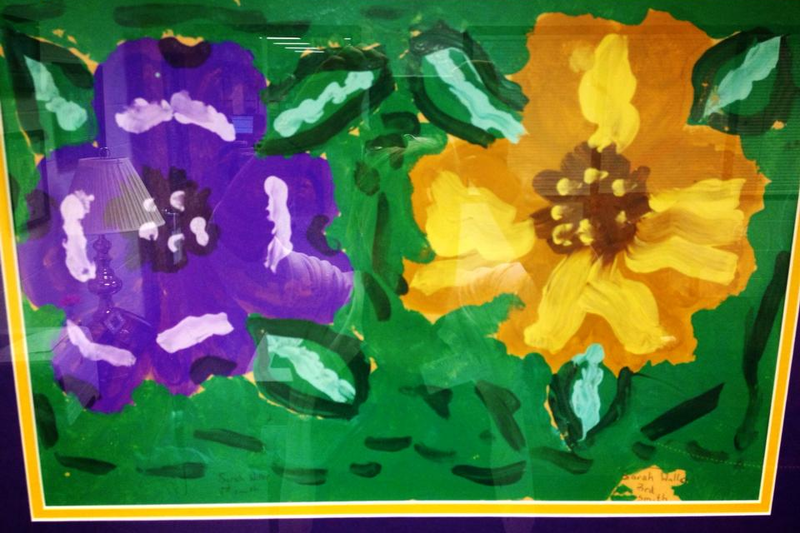 Thanks to the wonders of Facebook, a friend sent me a picture of a painting I made in the 3rd grade that still hangs on the walls of my elementary school. Crazy! She informs me that it decorates the walls of the school’s media center. I feel so honored. 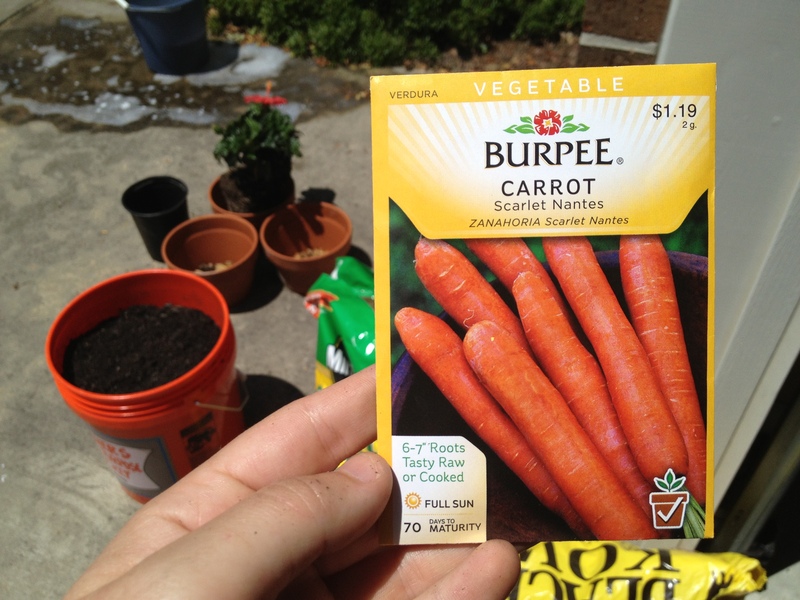 Since I graduated from college three weeks ago, my new roommate says I have taken on a new obsession to help with the transition: gardening. (A little bit of dirt is good for the soul.) 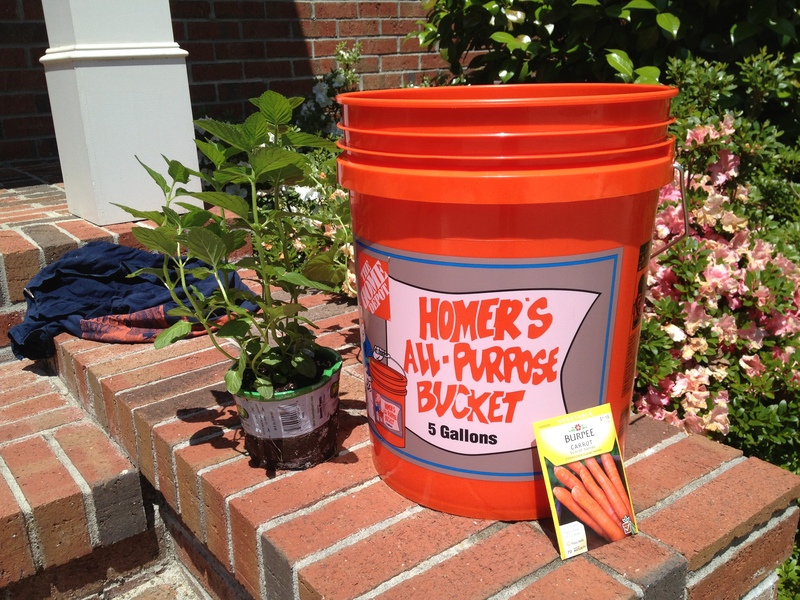 A few years ago, I heard of a neighbor growing carrots in a 5-gallon bucket, and finally, I decided to try it out for myself. 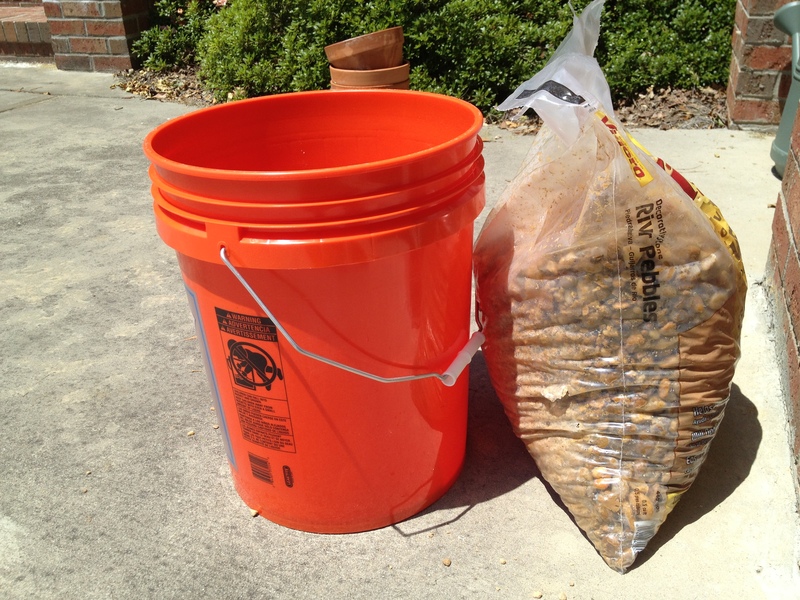 Before I can pour in the dirt, I prepared the bucket by poking holes in the bottom using a hammer and screwdriver. 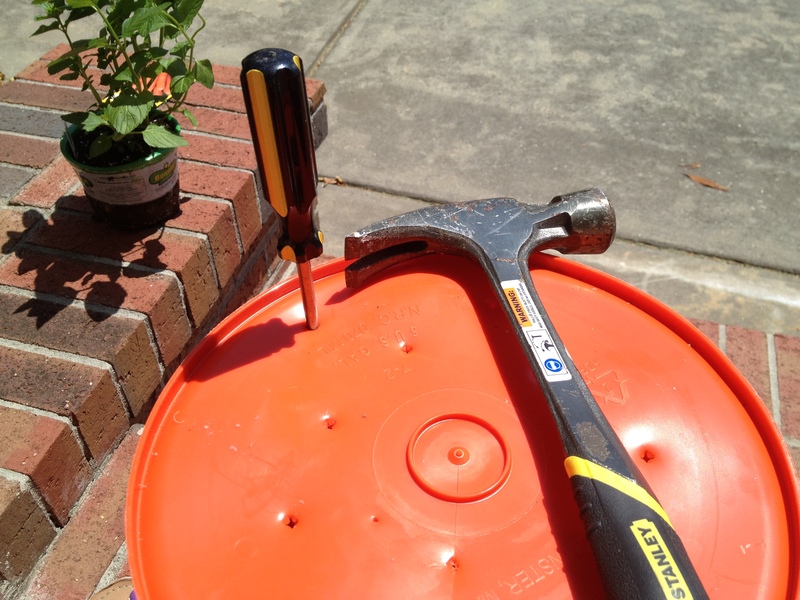 I found that the holes I made near the center of the bucket caused cracks (which I did not want). So, just beware that can happen. 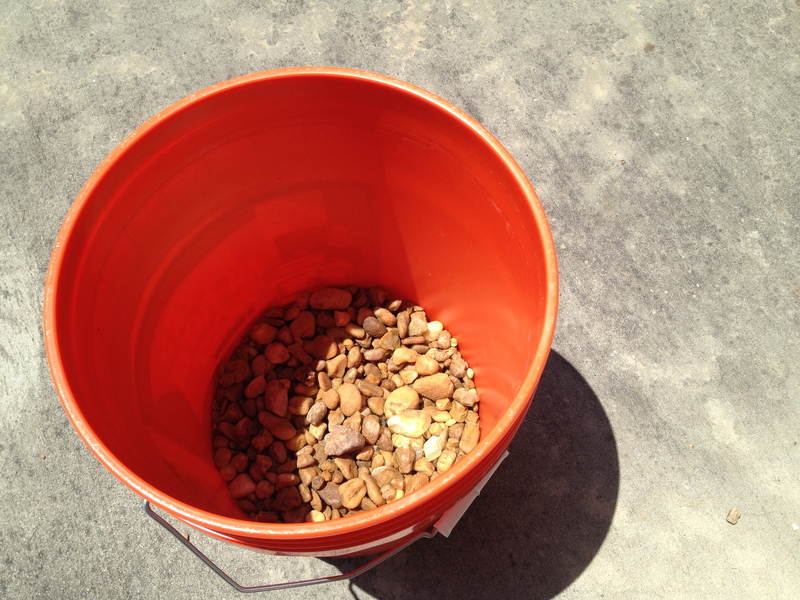 With holes finished, I put a 3-inch layer of rocks at the bottom of the bucket. I purchased river pebbles, but if I was to do it again, I probably would have used larger rocks. 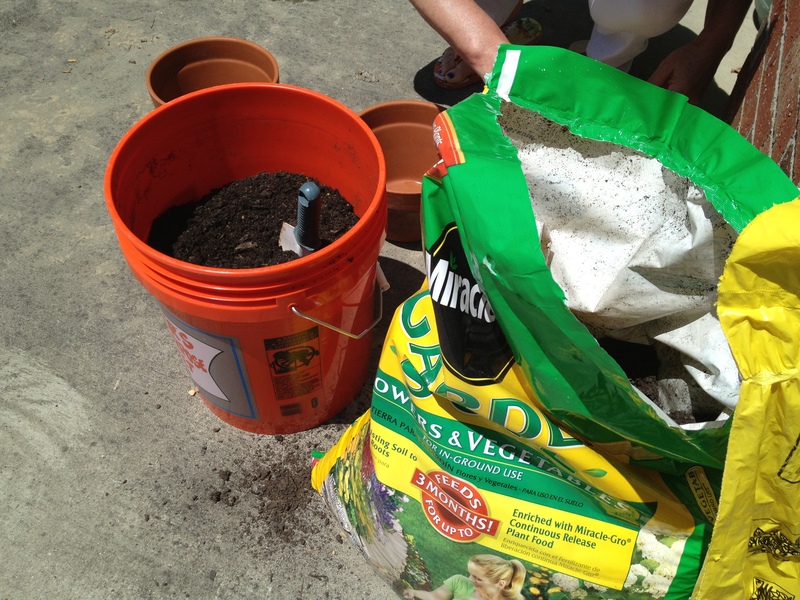 Next, I filled the bucket up with dirt. 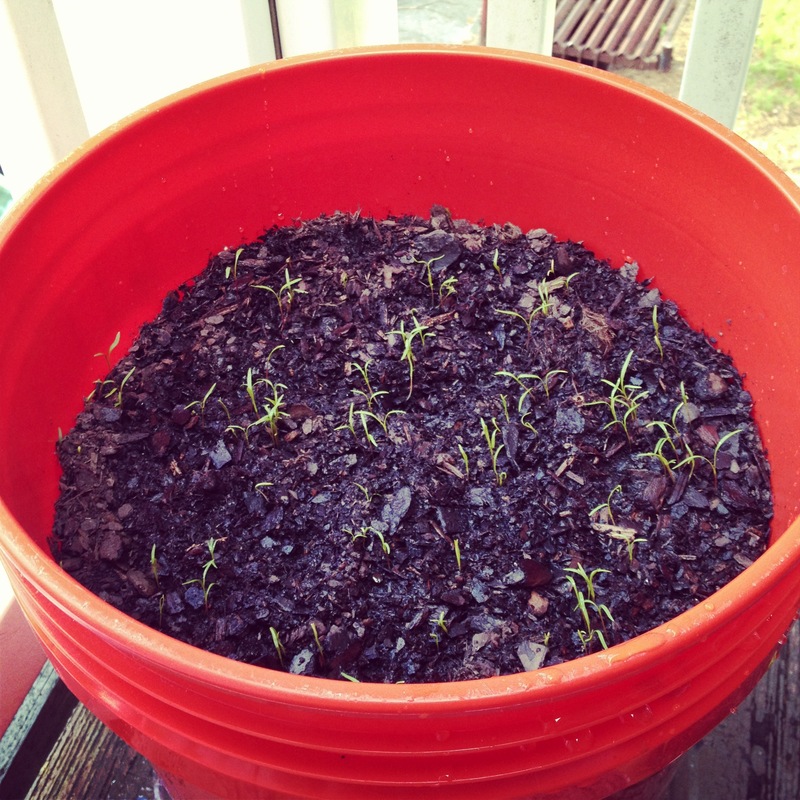 But with that being said, after a week of being in full-sun and being watered everyday, I had sprouts! I am not sure how long this growing process will take, but I will need you updated. The lesson to be learned – If I can do it, so can you!